Phillip Ragan is a Western Australian singer/songwriter who turned to music as a form of expression sometime around 2006. He had dabbled with poetry and creative writing before then, but felt he could blend some of his lyrics with simple melodies. The result of those early ideas was an album called Follow the Sun. The album was supported by Amrap and many of those songs were played on community radio, particularly across regional Australia, where Phillip’s love for the countryside and desire to live a more simple life shone through. He then worked towards completing his 2nd album, ‘Several thousand dreams’ which was published and released in Spring 2014. One of it’s tracks ‘Keep on Rolling’ was picked up and played on commercial radio in Perth. In late 2016, Phillip now a born again Christian, released his third album, Framework. His latest offering is an album that reflects his new life in Christ, it is called Parameters. Phillip hopes the album will be received by Christians and non Christians alike. It’s purpose though is to reach unbelievers. To encourage them to look within and realise they need a Saviour and that Jesus Christ is that Saviour...and that He loves them. 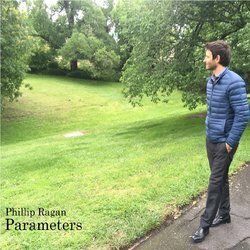 Sky is the limit is an original song written by Christian singer/songwriter, Phillip Ragan. The message is simple, when you make the decision to call upon Jesus Christ as your Saviour, and then try to follow him and live for him as best as you can...The sky is the limit as to what you can achieve!